The Governing Body of St Philip’s is a vital component in the successful running of our school. This committee of dedicated volunteers is involved in decisions about all aspects of the school’s operation and management, such as the buildings and budgets, staff welfare and setting school standards and policies. 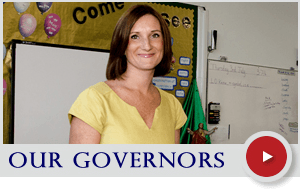 Governor vacancies are published within the school community whenever they arise. Minutes for all Governor meetings are available upon request. If you are interested in finding out more about becoming a Governor, please contact: Clerk to the Governors, via the office: 01903 882115. Our Clerk to Governors is Lesley-anne Scorgie. In addition to Full Governing Body Membership, every governor is a member of one of the two Committees; Teaching and Learning and Resources. Lucy Horne, Nikki Burgess, Cora Gillies, Claire Fairlie and Sherry Godin. David Rowland, Fiona Gardiner, Denise Jenkins, John Bell, Faye Childerhouse, Carole de Silva and Lucy Horne. Finance, Staffing, Premises, Health and Safety, Marketing , the Website General Resources including I.T. I am Mrs Lucy Horne and as Headteacher I sit on all the Governing Body Committees. The skills I bring to the Board are those of Professional Educational Leadership and a wide experience of other schools. I really enjoy working with the other Governors to ensure that the strategic direction for the school is clearly understood by all and that this impacts on the outcomes for all of the pupils, staff and wider community. I am Mrs Sydney Bridges and I am the new deputy head. I became a governor because I want to have a say on my work environment and be able to action initiatives which will make a difference to me and my colleagues. I think I contribute the viewpoint of a deputy who understands the day-to-day running of a classroom and how that translates into the overall running of the school. I am Mrs Kathryn Flanagan, a member of the parish of Arundel Cathedral. I have three children – my eldest daughter has finished St Philips and is now at St Philip Howard, my son is in Year 2 and I have a young daughter too. I am the HR and Operations Director for a charity based in Godalming, and before this spent my HR career in both corporate and consultancy roles. My experience helps in my role as Governor in assisting in the strategic direction of St Philip’s. I am passionately committed to enabling our children to have a brilliant start to their education, in a nurturing environment both academically and spiritually and am very proud to be a Governor at St Philip’s. I am Mrs Pauline Allen MBE and I am very proud to say I was a pupil at St Philip’s. I am also involved with HomeStart, various other Trusts and the NSPCC, and serve on the boards of Ford Prison and the Immigration Detention Centre at Gatwick Airport. 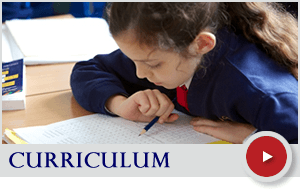 I am interested in all aspects of education and especially enjoy the direct contact with the children and seeing the excellent facilities and teaching on offer at St Philip’s. My name is Claire Fairlie. 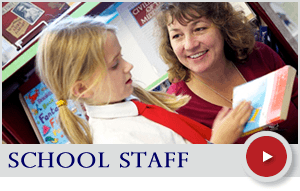 I joined St Philip’s School in September 2013 as the class teacher for Year Six. I am proud and happy to be a part of this school community. I look forward to supporting Mrs Horne and the Governors in realising their shared vision for the school as a successful and inclusive place of learning. ​I hope that my experience of teaching in other schools and settings will enable me to make a valuable contribution as Staff Governor to St Philip’s School community. I was appointed a Foundation Governor from September 2017. My background is that I work for the Ministry of Justice as an HR Case Manager, and have lived in this area all my life within the Storrington Parish. I attend Our Lady of England Church, Storrington at which I am one of the Lay Readers. I am currently on the Governor’s Resources Committee with responsibility for Premises and have been given the task of being the Year 4 Governor Representative. As such I hope to be of some assistance to St Philips, which I believe is a delightful School. I am Sherry Godin, a member of the Cathedral Parish of Arundel. I have two step-daughters, both previously attended St Phillip’s Catholic Primary. I also have a young daughter and baby. I have held various leadership and consultancy roles in Fast Moving Goods and Financial Service companies mainly in the areas of Human Resources and Project Management. This experience will enable me to assist in setting the strategic direction of the school and assessing the progress made against its goals. As a foundation governor it is also my responsibility to promote and monitor the school’s Catholic ethos. I am passionate about all aspects of education and look forward to giving back to the school and community by contributing in any way that I can to the school’s administrative, academic and spiritual life. This is my first role as school governor and I am delighted and proud that it is with St. Philip’s. I am Una Hobson and am a foundation Governor at St Philip’s. I have two children, our elder daughter was a St Philip’s pupil as is our younger daughter, who is a current pupil. I feel privileged to be part of a team that seeks to support such a wonderful school and it has been amazing to see St Philip’s grow and evolve. I have been a nurse for 32 years and am Matron at Swandean hospital so have a real passion for promoting good mental health and wellbeing. I am Nicola Burgess and mother to four children. Our daughter and youngest son are at St Philip’s and our two eldest boys have now left and go to St Philip Howard in Barnham. We attend St Richard’s Church in Slindon where we were married and our children were Baptised and where our eldest boys are now altar servers. I think St Philip’s is a wonderful school and I am delighted to be part of the governing body ensuring not only our schools bright future but also the growth, happiness and personal success of all our children. Mrs Burgess is also employed at the school. My name is Denise Jenkins and I am privileged to serve St Philips as a Foundation Governor from September 2017. I have a daughter in school who joined in September 2015 and two other daughters at St. Philip Howard Catholic High School in Barnham. Originally from County Armagh in the North of Ireland, we moved to Eastergate in 2015 with my husband`s job, having previously lived in California and Singapore for almost 10 years. We are parishioners of Arundel Cathedral. My work background is in HR and Finance and I hope to use my skill set to support the Headteacher and all of the staff, in partnership with parents and the local community to deliver an outstanding education for all our children here at St.Philip’s. I have been a member of the Storrington parish since 1990 and my own children who are now grown up attended this school. I was a governor here many years ago and also at two other schools in the Sussex area at primary and secondary level and think I Iearned a lot about the role in that 12 year period. I was delighted to be asked to serve as a Governor again as I have been involved in education in various ways for most of my life and without it would not be still working full time after 40 years and with skills that are still in demand. I have held various management, consultancy and audit roles in financial service companies and in the public sector in areas like business operations, productivity, IT, risk and project management and have worked internationally, nationally and locally in various well known organisations . This experience should enable me to assist in setting the strategic direction of the school and monitoring the progress made against its goals. As with other foundation governors it is also my responsibility to support the school’s Catholic ethos and help to ensure that our children and staff are valued and cared for in line with diocesan policy. My name is Cora Gillies. I am delighted to have been appointed a Foundation Governor at St. Philip’s from September 2017. Having been a teacher for over 30 years in Catholic schools, I feel I bring experience, knowledge and understanding to my role as governor. I very much look forward to supporting the Headteacher, staff and pupils of St. Philip’s Catholic Primary School. I am the Governor nominated to oversee the RE provision within the school. My name is Fiona Gardiner and I am the Local Authority Governor at St Philip’s. I have two daughters at the School, 1 in year 5 and 1 in year 2. I work as a Solicitor practising mainly in Education and Employment law, advising schools and other clients around the County. I feel honoured to have been appointed by the School and Local Authority to fulfil this Governor role. I hope to use my skills and professional knowledge to contribute to the effective governance of the School and support the Headteacher in delivering an outstanding school experience for the whole school community. I was appointed as a Parent Governor in 2018. I aim to bring an independent perspective to the workings of St Philip’s. My educational experience stems from being a mother of three, with my eldest in Year 1. Prior to becoming a mother, I co-founded, managed and sold an edtech language learning company in partnership with a Trust at the University of Cambridge. I now consult for a global insurance company in London, and own a loose leaf tea shop in the center of Arundel. I believe all children should cherish and enjoy learning in a safe and well managed primary school. We need to ensure children are emotionally balanced, have high aspirations and drive and become the very best they can be. I will utilize my skills to help St Philip’s continually improve.